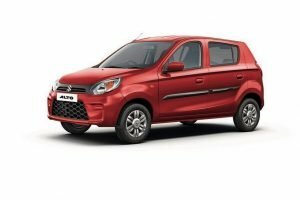 The Honda Brio has worked very well for the Japanese company, so much that the automaker has used its platform to spawn out two more body styles, a sedan (Amaze) and an MPV (upcoming). 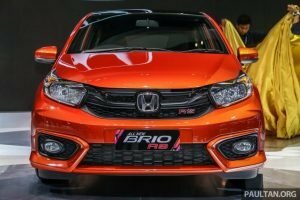 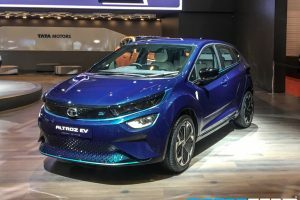 The Brio was first launched in Thailand by Honda and to celebrate two years of the product, the company has given the vehicle a minor facelift. 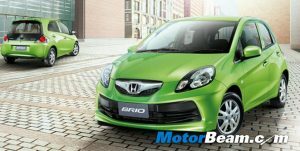 Although the mechanicals remain untouched, Honda has added features to the Brio which the company some how missed the first time round. 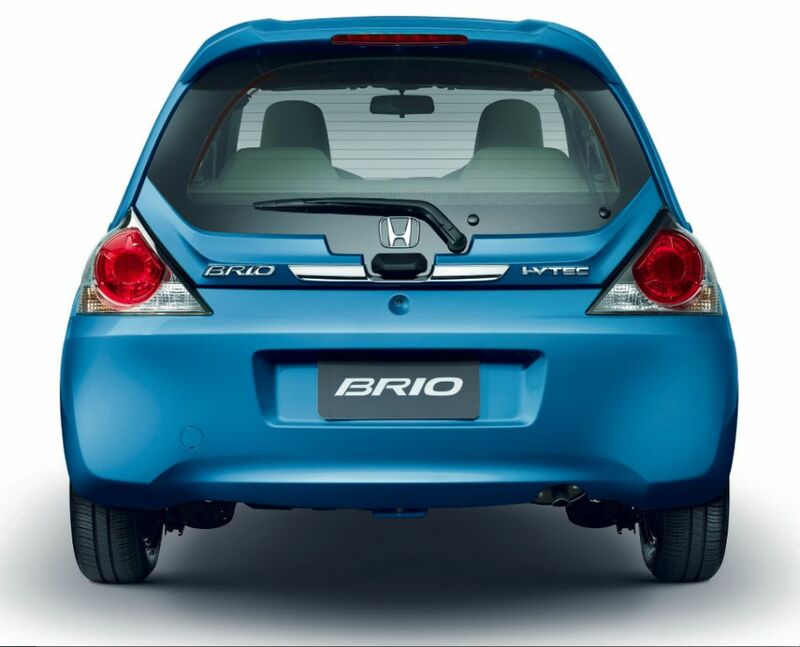 So what’s new in the 2014 Honda Brio? 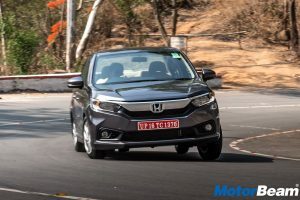 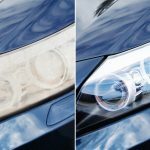 Honda has given the Brio a rear washer/wiper with defogger, a feature which early seemed difficult to fit due to the all glass boot lid. 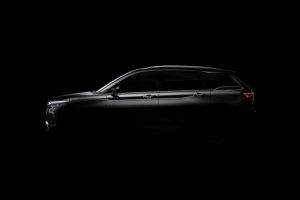 The rear also gets a roof mounted spoiler (the stop lamp is mounted on the spoiler now) and a chrome garnish below the Honda logo. 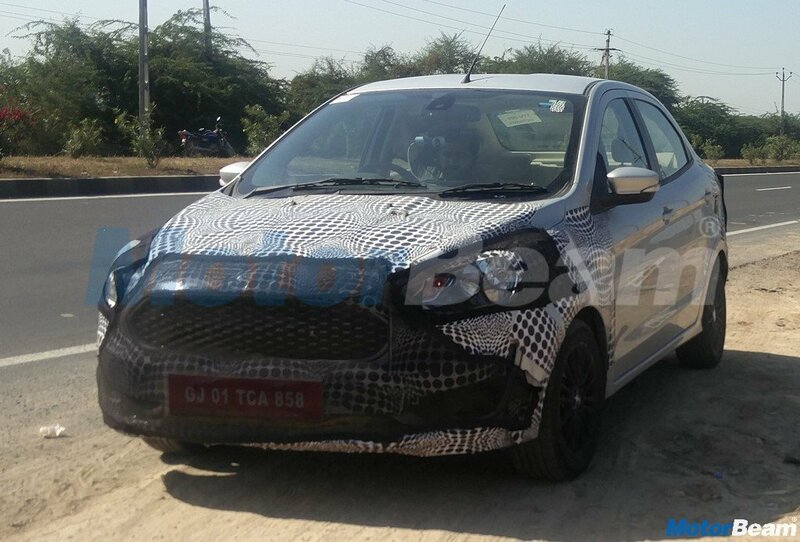 On the front of the Brio, nothing has changed except the addition of fog lights, which is already present on the Indian Brio. 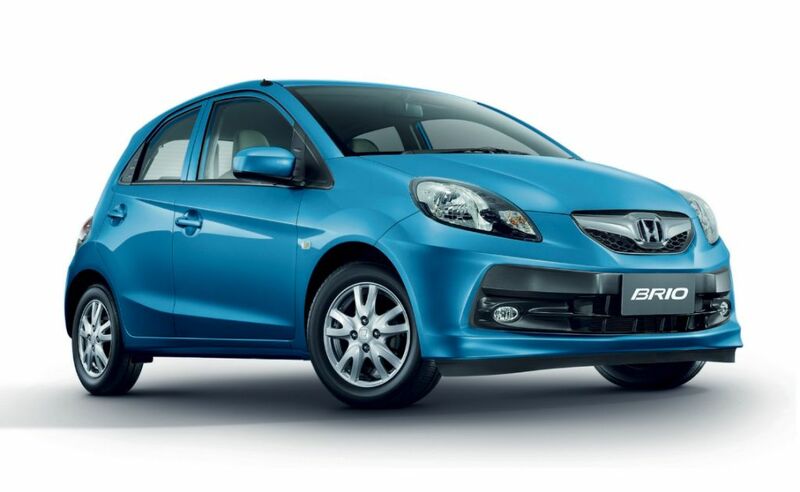 On the inside, Honda has given the Brio a new touch screen audio system with navigation and that’s about it. 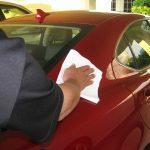 The rest of the cabin remains the same as before. 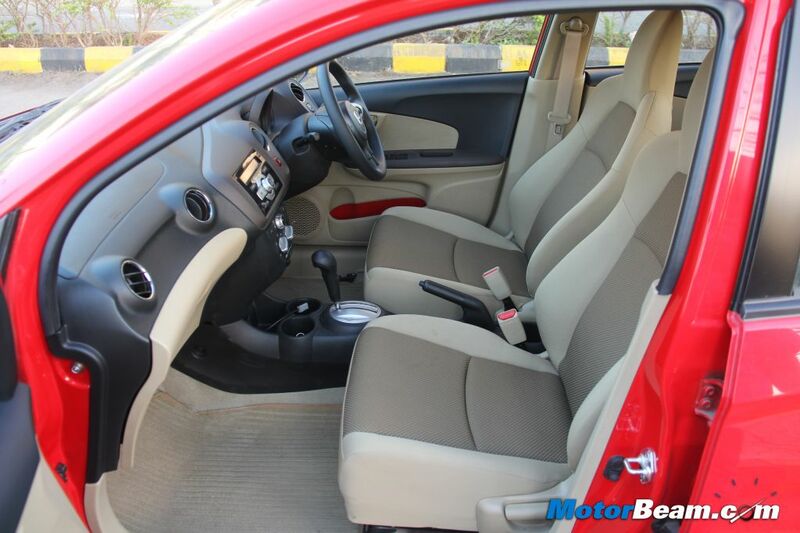 First interior picture is of the new Honda Brio while the second interior picture is of the old car. 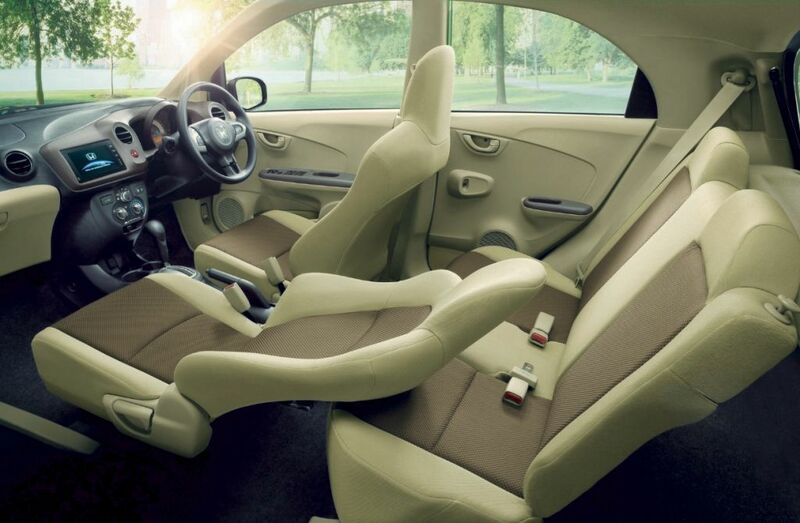 If you closely observe, the old Brio has exposed body behind the door pockets. 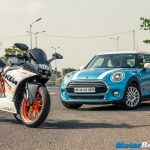 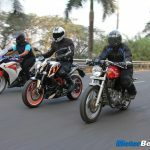 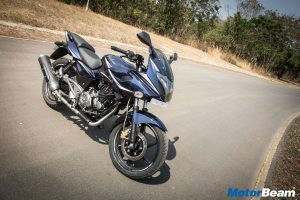 This doesn’t seem to be the case with the new model, although we feel that is a cost cutting measure taken by Honda in India. 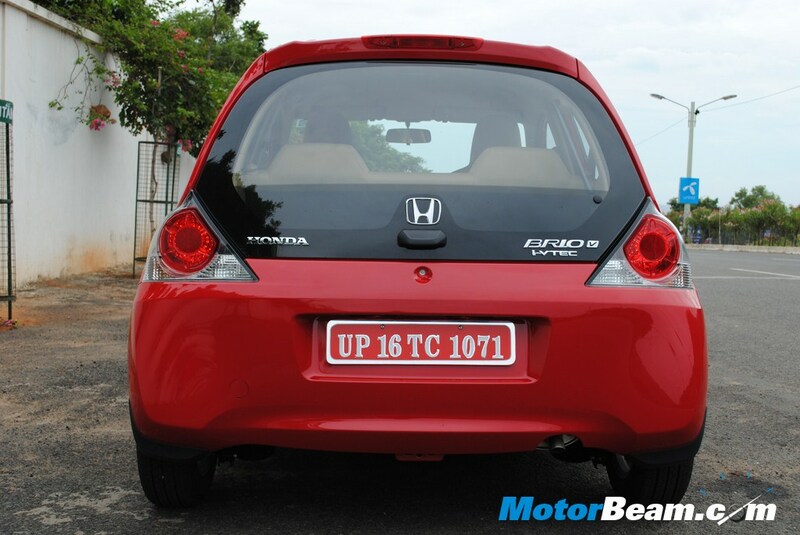 Check out the differences at the rear of the Honda Brio in the pictures below. 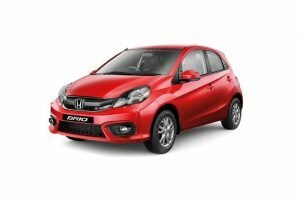 The 2014 Honda Brio uses the same engine as before, which is a 1.2-litre, i-VTEC motor belting out 88 BHP of power and 109 Nm of torque, paired up with 5-speed manual and automatic transmissions. 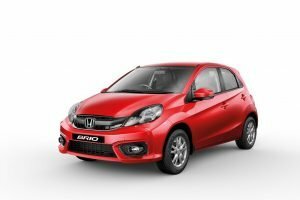 Honda is expected to plonk in a diesel engine on the Brio but no confirmation on the diesel Brio’s expected arrival has been disclosed yet. 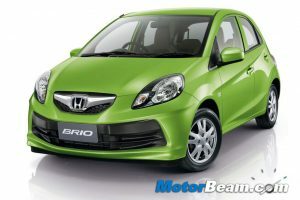 Expect Honda to update the Brio with these features early next year. 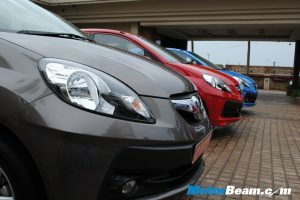 Could Honda Brio Prices Start At Rs. 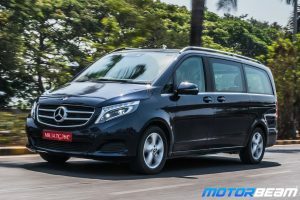 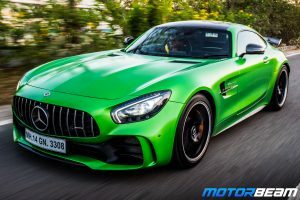 3.99 Lakhs?